The teams have now been confirmed for the 2013 World Financial Group Continental Cup, presented by Monsanto. The ninth edition of this unique international curling competition will take place from January 10-13 in Penticton, Canada at the South Okanagan Events Centre. It is the third time the event has been staged in British Columbia, following Chilliwack in 2006 and Langley for the 2012 edition. The Continental Cup features six teams from North America competing against six teams representing the rest of the World in various curling disciplines during the four days – Team games, Mixed Doubles, Singles, Mixed Skins and Skins games. For each segment teams are awarded points for wins (or ties). Currently, North America and The World are tied at four wins apiece since the inaugural Continental Cup was held in 2002 in Regina. Team World is comprised of teams skipped by Niklas Edin (Sweden), Tom Brewster (Scotland), Thomas Ulsrud (Norway), Margaretha Sigfridsson (Sweden), Mirjam Ott (Switzerland) and Eve Muirhead (Scotland). Their captain will be former world champion from Scotland, David Hay. With three-time world champion Peja Lindholm from Sweden, as their coach – the same positions they held last year when Team World won the Cup in Langley. 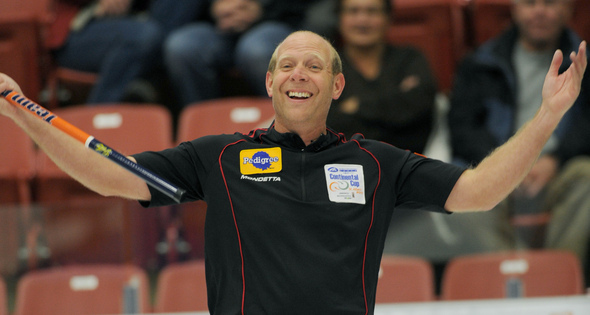 Brewster has earned a silver medal at the last two world men’s curling championships, losing the final to Canada’s Jeff Stoughton in Regina in 2011 and to Canada’s Glenn Howard in Basel in 2012, while Edin’s team won bronze in both years. Ulsrud, a two-time European champion, took silver at the 2010 Olympic Winter Games, losing the final to Canada‚s Kevin Martin. His team also finished fourth in the last two world men‚s championships. Ott, a two-time Olympic silver medallist, is currently reigning World Women’s champion, having won the 2012 Ford World Women’s gold medal in Lethbridge, Canada over Sigfridsson’s team. Muirhead, the 2010 world silver medallist, is a four-time world junior champion and the reigning European champion. Team North America will be represented by four teams from Canada skipped by Glenn Howard of Coldwater, Ontario, Kevin Martin and Heather Nedohin of Edmonton, Alberta and Jennifer Jones of Winnipeg, Manitoba and two teams from the United States – skipped by Heath McCormick of Sarnia, Ontario, and Allison Pottinger of St. Paul, Minnesota. Their captain will be 2000 world champion and 2002 Olympic bronze medallist Kelley Law of Coquitlam while three-time Brier winner and two-time world champion Rick Lang of Thunder Bay will return as coach. Howard is a four-time Brier and world champion (1987, 1993, 2007, 2012), who captured the 2012 world title in Basel, Switzerland. Martin is also a four-time Brier winner (1991, 1997, 2008, 2009), 2010 Olympic gold medallist and 2008 world champion. Howard’s team qualified for the World Financial Group Continental Cup by winning last year’s Tim Hortons Brier (Canadian Men’s Curling Championship) in Saskatoon, while Martin earned his berth by taking the 2011 Capital One Canada Cup in Cranbrook, BC. 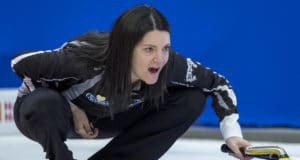 Nedohin secured her berth with a victory at the 2012 Scotties Tournament of Hearts (Canadian Women’s Championship) in Red Deer, then earned a bronze medal at the Ford World Women’s in Lethbridge, Alberta. Jones, a four-time Scotties winner and 2008 world champion, won last year’s Canada Cup to earn her spot for the Penticton event. McCormick, who was born in Lansing, Michigan, but resides in Sarnia and Pottinger, the 2003 world champion, are the reigning US national champions. McCormick finished eighth at the 2012 Men‚s Worlds while Pottinger was fifth at the 2012 Ford World Women‚s. For ticket and event information, visit: www.curling.ca/championships/continentalcup. For the 2013 WFG Continental Cup, a new points system will also be in place. A total of 60 points is now available, meaning the side which earns more than 30 points will be declared the champion. For the six Mixed Doubles and six Singles matches, one point will be awarded for each victory (one-half point if tied). There will now be 18 team games (nine men’s and nine women’s) played, instead of the previous 12, each worth one point for a win, one-half point for a tie. All games are eight ends and there are no extra ends. There will also be six Skins games, with each game worth a total of five points to the winner. The Canadian Sports broadcaster, TSN, will provide complete coverage of the Cup inside Canada and this coverage will be available to curling fans outside Canada to enjoy via the World Curling Federation website www.worldcurling.org. At the inaugural Cup in Regina, Canada in 2002, Team North America pulled out an incredible last stone victory when Canada‚s Kevin Martin defeated Sweden’s Peja Lindholm in the final men’s Skins game to win 207-193. In 2003, Team Europe (later to become known as Team World) turned the tables with a 208-179 victory in Thunder Bay. In 2004 in Medicine Hat, before a record four-day crowd of 42,317, it was North America’s turn again, notching a 228-172 win. The 2006 renewal, staged in Chilliwack, British Columbia, featured all of the medal-winning teams from the 2006 Olympic Winter Games in Turin, Italy, as Team Europe pulled even with a 229-171 victory. In 2007, the Cup returned to Medicine Hat, and once again, North America prevailed, 290-110, this time clinching the Cup in record fashion on Saturday evening, prior to Sunday’s final women’s and men’s Skins games. 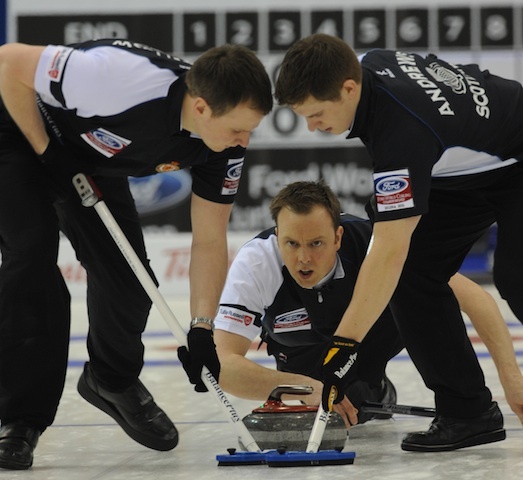 The 2008 Continental Cup was contested in Camrose, Alberta and won by Team World, 208-192, which evened the series at three victories apiece, as each side continued to prevail in alternate years. In 2011 in St. Albert, Alberta, the trend continued as North America romped to a record 298-102 win only to have Team World return the favour in the 2012 edition of the event in Langley with a 235-165 winning score. In 2005 and 2009, no Continental Cup events were scheduled, due to the curling trials which qualified Canada’s teams for the Olympic Winter Games. The World Financial Group Continental Cup, which was staged for the first time in mid-January of 2011, after previously being conducted in late November/early December, is a joint venture of the Canadian Curling Association, World Curling Federation and United States Curling Association.